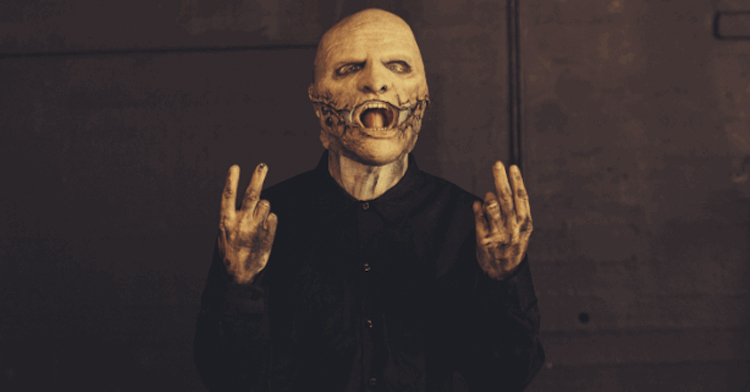 MetalRockNews: Slipknot's Corey Taylor about record sales decline: "It's about people knowing the music, not owning it"
Slipknot's Corey Taylor about record sales decline: "It's about people knowing the music, not owning it"
Slipknot frontman Corey Taylor was interviewed on a recent edition of "The Mike Calta Show", you can read some excerpts below. About KISS' Gene Simmons's recent comment that "rock is dead": "I'm so tired of hearing that, man. With all due respect to Mr. Simmons, I think when he talks about rock being dead, I think he talks about the old-school way of album-tour-album-tour-album-tour. That's just not the way you do it anymore. There's so many other things and ways to continue the history of this industry, and to continue to be on top. I mean, I'm looking out at headlining Download Festival in the U.K. [Sarcastically] Yeah, rock is dead. That's why there's 85,000 people here at 11:30 at night in a downopour, and nobody left. Yeah, rock's dead. Yeah." About how the continued decline in music industry revenues has affected Slipknot's bottom line: "The only thing that's really been affected is albums sales. Because there's still just as many rock fans out there as there were, and there's a whole new generation coming up. I mean, the contracts that you signed back then, even today, you'd have to sell five, six million at a pop to be able to turn a profit. So, for people like me, it wasn't about making money off the album sales. I mean, it's be nice, but it wasn't the essential. I've always said, nobody's more surprised by our success than we are. Because, I mean, when we started, we were the band that was, like, 'Okay, hopefully we can get to a level where we can sell, maybe, two hundred thousand copies of an album and just tour… just tour for a year and a half and really build that foundation. And then, when everything blew up for us, we were, like, 'Uhhhhh…. What?!' It blew us away. We've never been worried about making money off that. For me, the album is the calling card. You hope people are hearing the music, but it's not essential to sell the music, and that's the thing you kind of have to balance today. 'Cause people are still buying CDs, but they're also buying music on iTunes, they're paying for accounts on Spotify. So it's not like they're not hearing the music. So when they come and see the show, and you play a song that is brand new and you get that huge pop, that's what it's all about. It's all about that live show… I mean, we just started playing 'Killpop' on this last tour, and we had put the video out probably a week before. And with every show after that, the pop got bigger and bigger and bigger, to the point where people were losing their minds. And that's a brand new song, for all intents and purposes. So, for me, the album is just the way to get the people to come in; that's how you further it. And, later on down the line, if you do a little touring, and eventually you sell enough albums, then so be it. But, for the most part, you can't worry about that. Because, at the end of the day, it's about people knowing the music, not owning it." About whether there was ever a point where Slipknot considered calling it quits: "You know, there was a brief period where we were, kind of, questioning it. I mean, even while we were doing the subsequent tours after we lost Paul Gray. It was hard. I mean, every show was hard. But it got a little easier… really just because of the fans. The fans needed us, and we needed them just as much as they needed us. So it was really rediscovering the fan base again and helping each other get back up on our feet. After everything that went down, it was encouraging to know that the fans were still there, and they weren't gonna let us fall. And as long as we kept doing things the way that we have always done, they were always gonna be there. So when this album came out, by the time we got into the studio, we were recommitted. It's, like, 'You know what?! We're gonna tell the story of Paul, but we also want to do this.' 'Cause people can smell a lie like a fart in a car. So when you do something that is disingenuous, when you are essentially faking it, people can tell and they'll rip you down as quickly as they put you back up. So, for us, leading with our hearts has always done us right. Once we went out, and especially that first show at Knotfest, it was, like, 'Okay, let's see what happens.' And it was fantastic. So… I mean, we're very fortunate right now."